Instructions for Guests Park in the West Parking Lot. Thursday, February 07, 2019 | 7:30 p.m. - 10 p.m.
Friday, February 08, 2019 | 7:30 p.m. - 10 p.m.
Saturday, February 09, 2019 | 7:30 p.m. - 10 p.m.
Sunday, February 10, 2019 | 2:30 p.m. - 5 p.m.
Be waiting on the journey? What begins as a lively fantasy in the style of The Princess Bride becomes a moving lesson about responsibility, choices, and the stories we tell our children. Presented through special arrangement with Music Theatre International. Directed and choreographed by Meg Zauner. Musical director and Conductor, Steven Thompson. 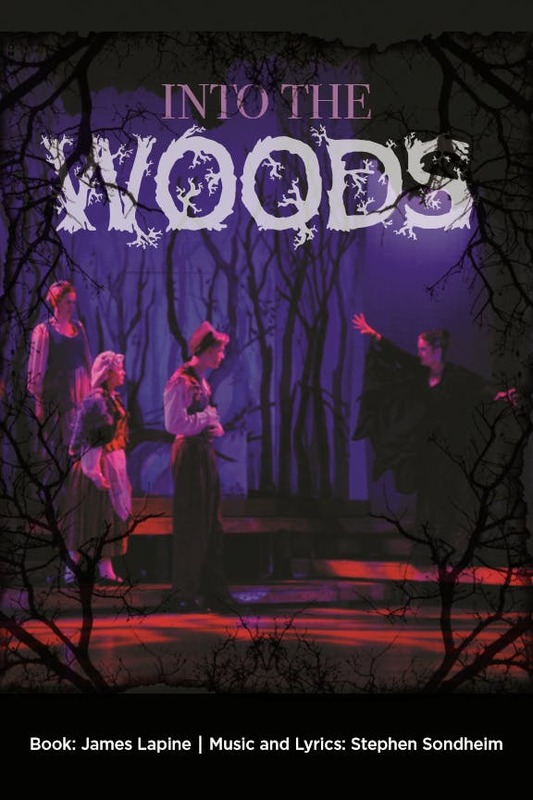 Please note: Although featuring fairy tale characters, the themes of Into the Woods are not designed for young children. The show may not be appropriate or entertaining for children under 10 years of age. No refunds or price adjustments for this performance.